Distant Vision is measured at 20 feet for all ages, but for older pilots, close up vision test components are required at both 16 inches (near) and 32 inches (intermediate) positions in each eye separately. Near Vision and Intermediate vision are discussed together in the Legal Code. Visual acuity must be 20/40 or better at 16 inches in each eye separately (the 16 inch is the Near Vision part). AME measurements are taken with or without corrective lenses at the specified distances. If age 50 or older, near and intermediate vision must remain 20/40 or better, Snellen equivalent. Therefore, for older Commercial and ATP pilots, the visual acuity is measured at 3 distances: distant (20ft), intermediate (32 inches) and near (16 inches). These are recorded with or without corrective lenses. If lenses are required the medical certificate will specify this as a limitation. Intermediate Vision is N/A See 51.a. Near Vision and 50. Distant Vision pages for 3rd class visual acuity requirements. 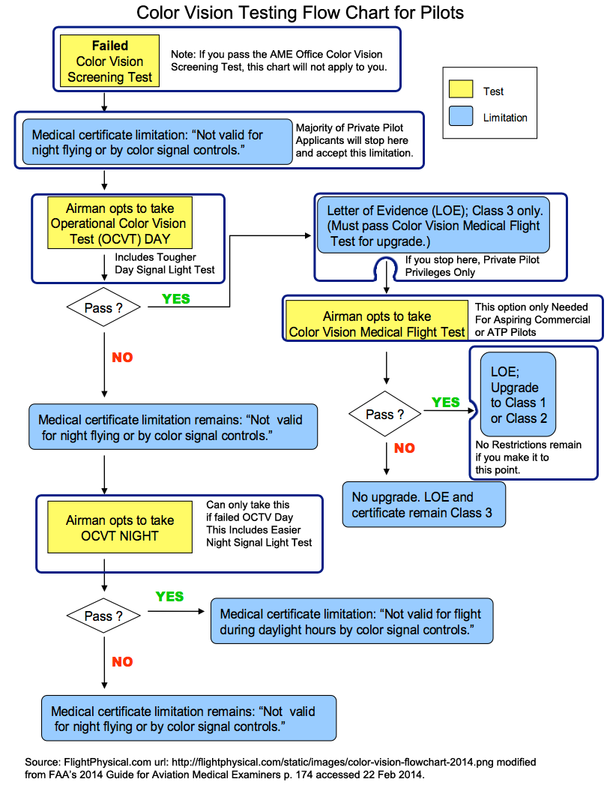 This page discussed the Intermediate Vision portion of the Eyes & Vision section of the Fight Physical Examination required of pilots.